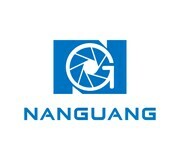 NanGuang CN-200FDA adopt the professional LED bulb, with high brightness and lower power consumption. Suitable for television studio, interview, talk show, photo studio, outdoor and indoor shooting and so on. 1.Adopt the professional LED chip, flicker free, can dim from 0%-100% freely. 2.Available for DMX and dimmer control, multiple brightness control ways. 3.It can focus or flood between 10°to 60°. 4.With excellent heat dissipation system,has fans inside, keep it working continuously with perfect lighting source. 5.It Powered by 100-240V AC, very convenient.Also could be powered by Sony V-lock battery.